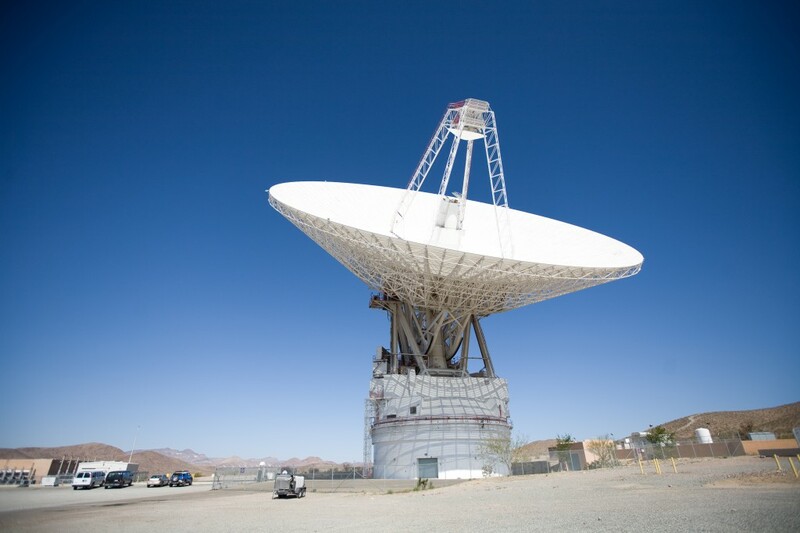 The Mars antenna is the largest antenna at the Goldstone complex. The antenna is 230 feet wide, stands 250 feet tall and weighs more than 16 million pounds. To get an idea of the scale of this antenna, take a look at the cars in the lower left of the photo.